Pond weeds are a common problem in large natural ponds. As ponds mature and age, they often accumulate nutrients (eutrophication) and sludge, which causes excessive growth of plants and / or algae. Each year, the overall growth of both beneficial and unwanted plants increases and can eventually become a problem. 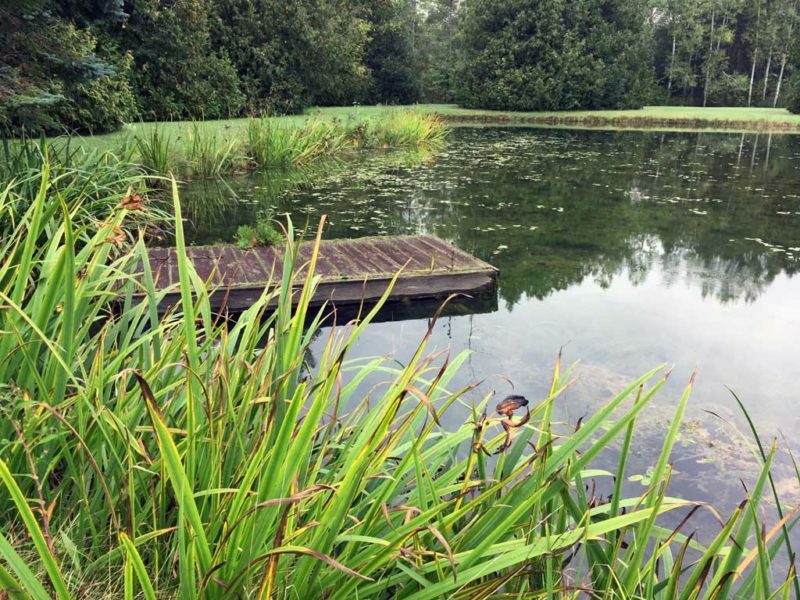 Too much plant or algae growth looks unsightly, can cause poor circulation, make it difficult to swim or make the pond difficult to use for recreation. 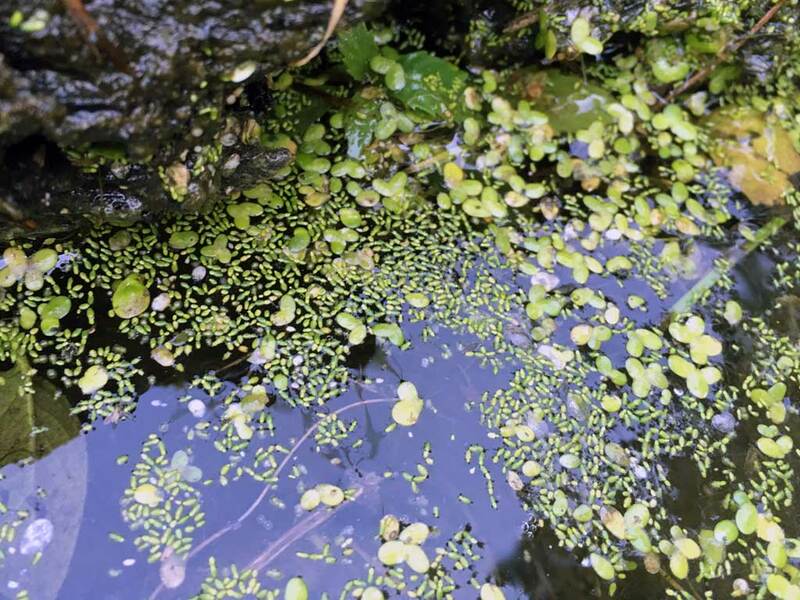 For more information on how to control and remove some of these plants see our pages on Large Pond Weed Control, Large Pond Algae Control and Large Pond Muck & Sludge. If you are looking for assistance with your pond, we offer Pond Maintenance Services and products specifically for large ponds. 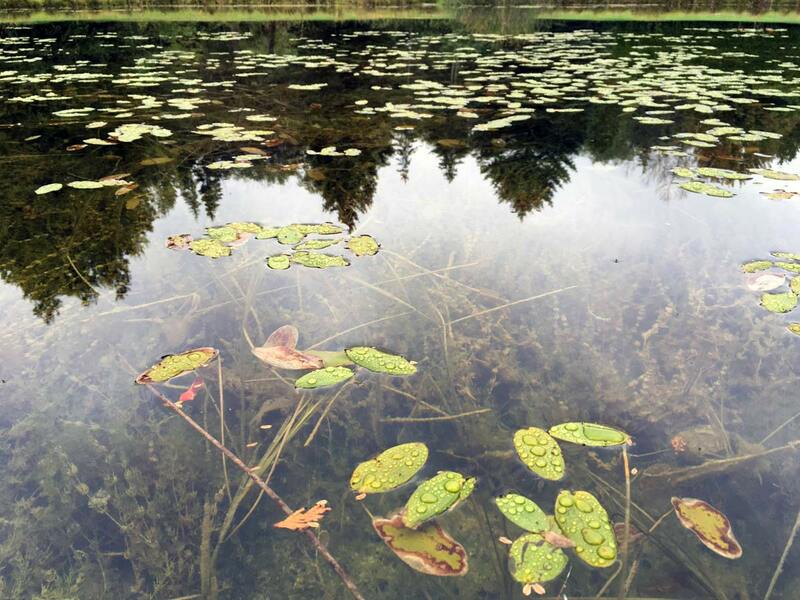 Although beneficial for ponds, submerged pond plants aren’t considered usually considered very pleasing to the eye. In fact most people refer to them as sea weed, pond weed or some other unflattering name. 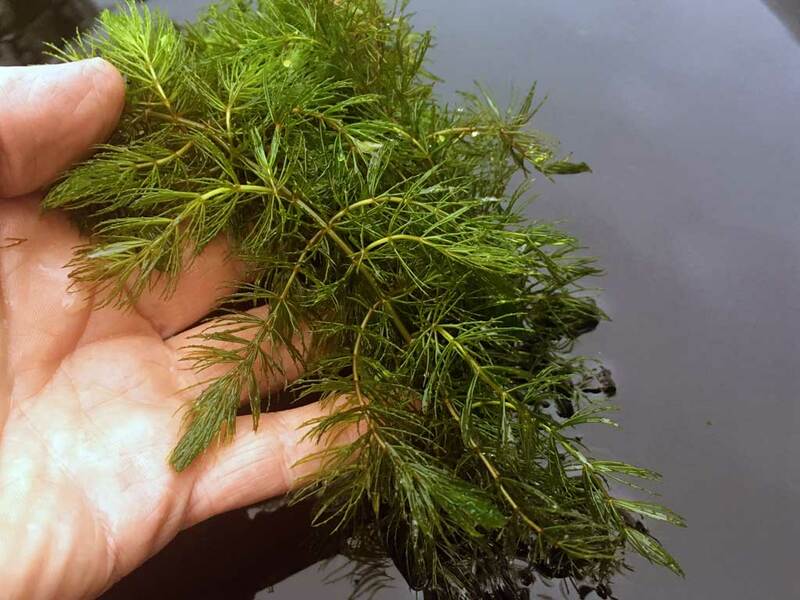 Coontail, also known as hornwort, is a dark green, branching aquatic plant that grows submerged in the water. Although it does not have true roots, it does anchor itself to the sediment. In nutrient rich ponds, coontail can grow very rapidly and become a nuisance. 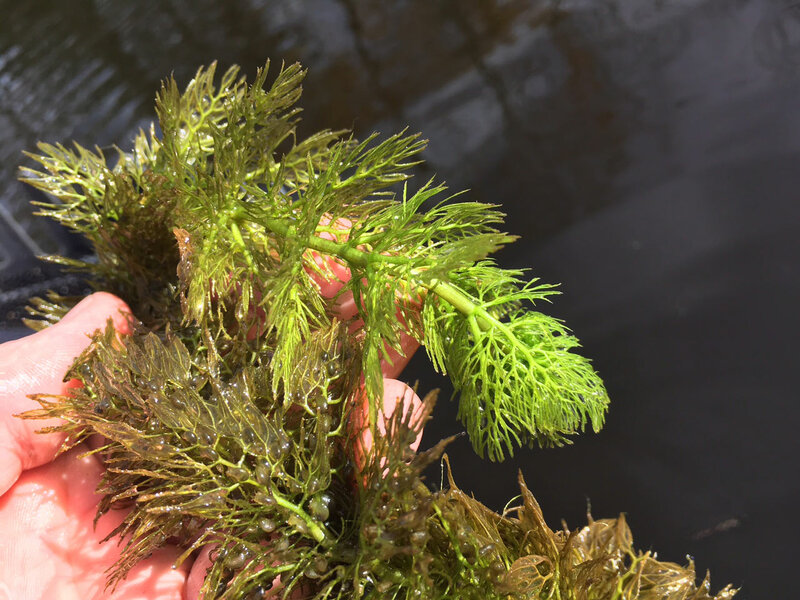 Native to North America, Elodea has small bright green leaves that grow on branching stems. It begins growing very early in the spring in cool water and can be invasive in certain conditions. 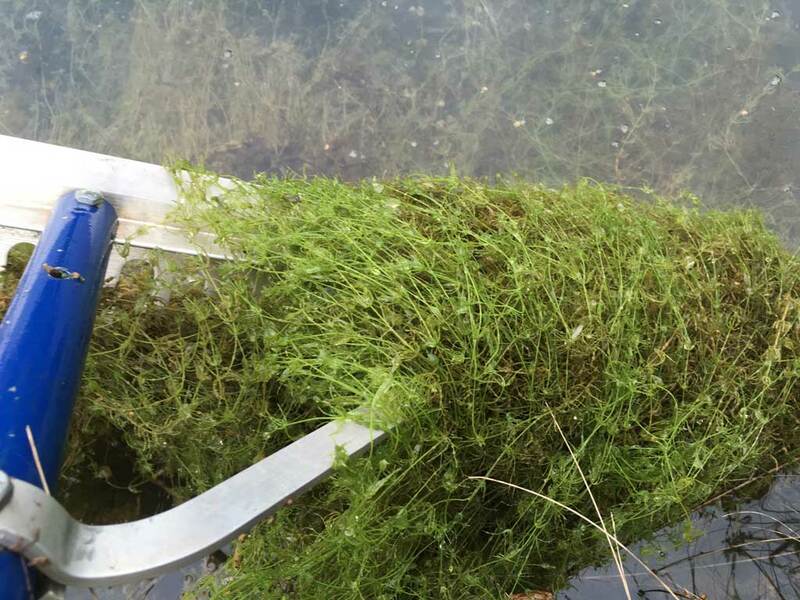 Curly-leaf pondweed is an species that was introduced from Eurasia. 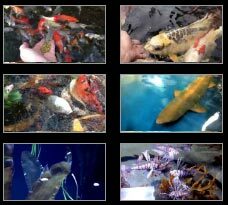 It is fast growing plant and can grow very quickly, overtaking other pond plants. 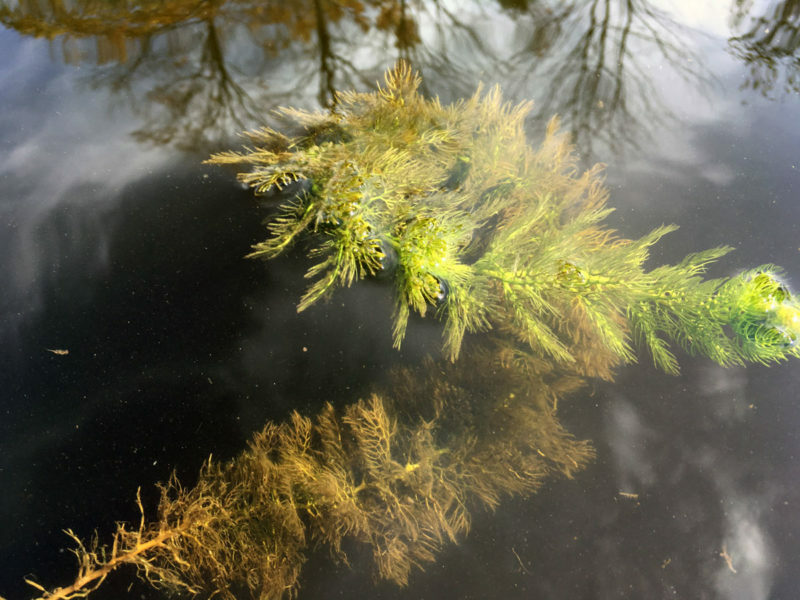 Eurasian water-milfoil is a invasive, fast-growing perennial, that will form dense underwater mats. It typical grows shallow water one to three metres deep, but can also root much deeper. Much of the seasons growth tends to die off, in the fall and winter, causing an accumulation of sludge and lower oxygen levels. 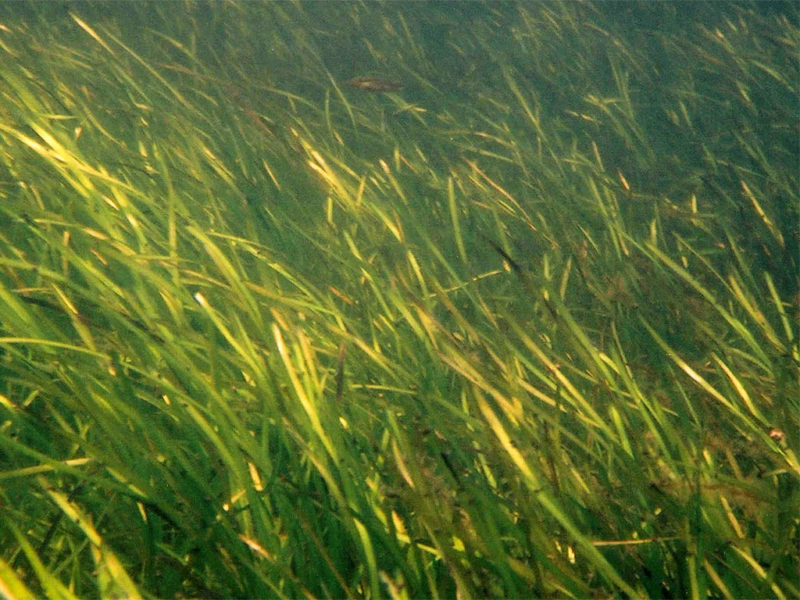 Tape Grass (Eelgrass, Wild Celery) grows in shallow water and has long narrow leaves that grow from a cluster at the base of the plant. the leaves grow up to 1 meter long and are only about one centimeter wide. 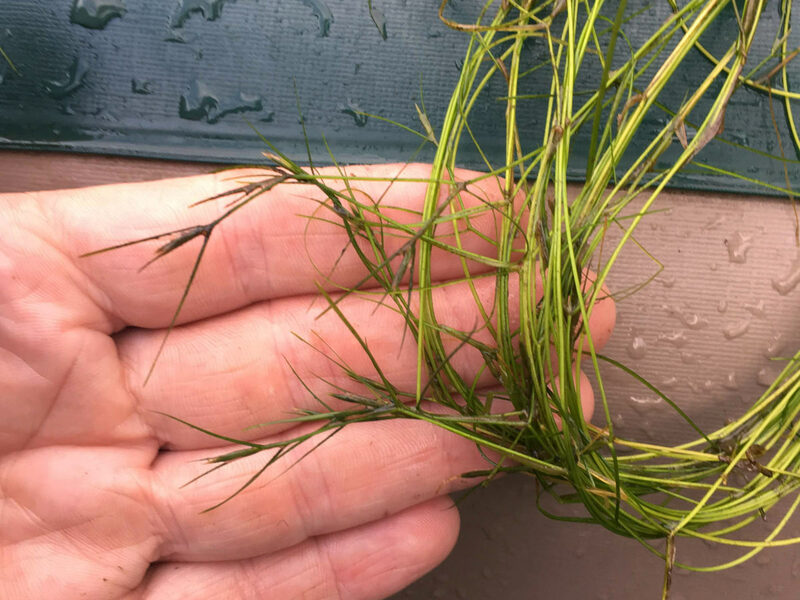 Tape Grass starts growing actively when the water temperature warms up in in the summer months and will divide by sending out runners from the base. Sago Pondweed (Stuckenia pectinatus) grows in shallow water, and forms dense mats of roots on the bottom of the pond. 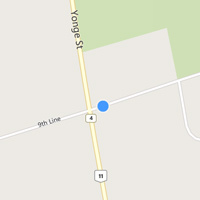 It has long branching stems and very narrow leaves that taper to a point. It can be fast growing in the right conditions. 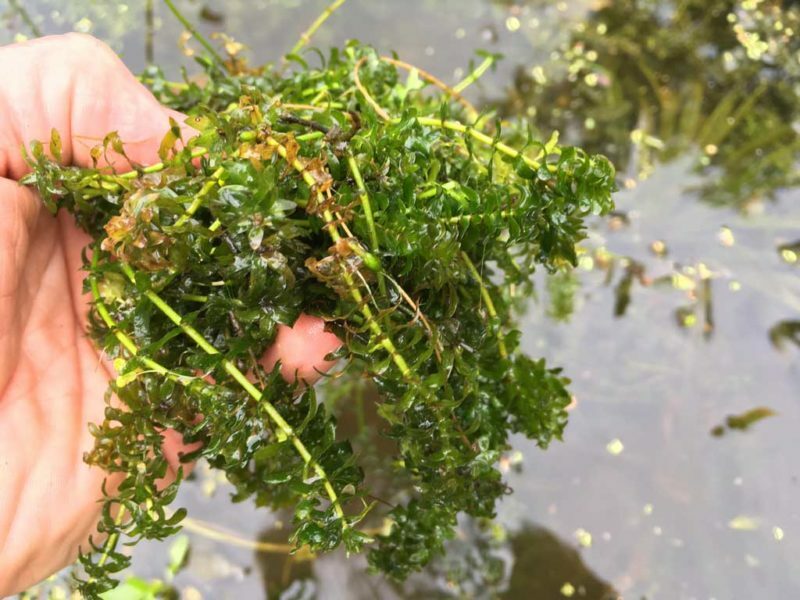 At first glance, it can be confused with Curly-Leaf Pond Weed. 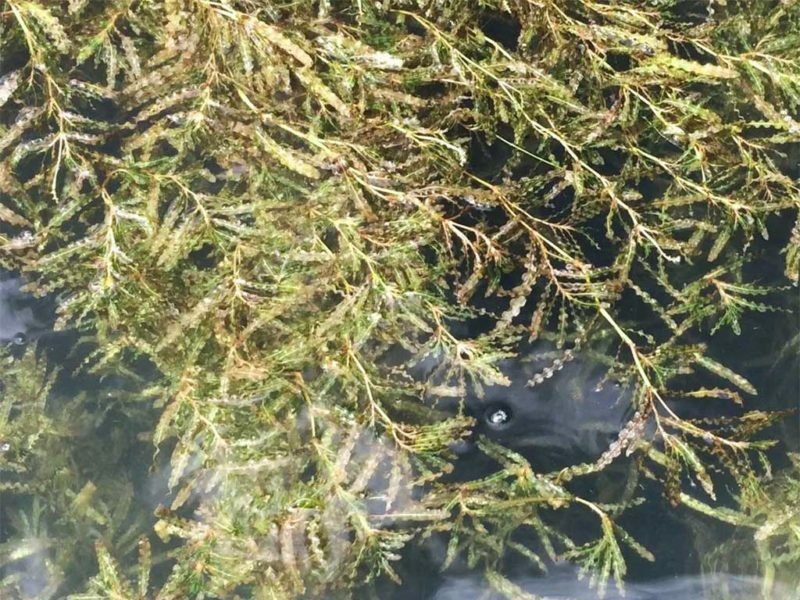 Chara (also known as Muskweed) is actually an algae that looks like a submerged plant, in fact, it often gets confused with coontail. It is a large, bright green branching algae that has no roots and also has a distinctive odour. When pulled from the water it has a noticeable garlic-like smell. Chara will form dense mats that can cover large areas if left alone. Emergent / Shoreline plants are one of the most common problem in ponds. 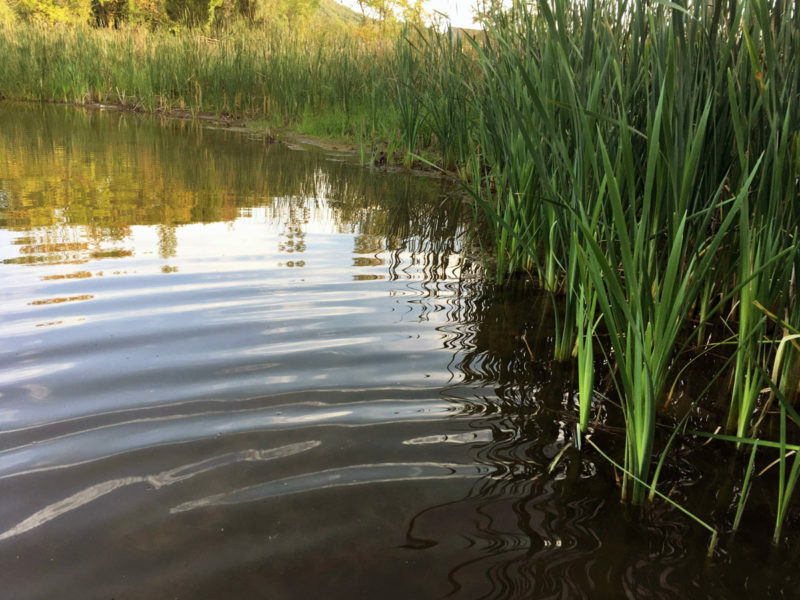 Cattails, bullrushes, grasses, irises and phragmites can quickly become established in ponds with shallow shorelines in depths of up to 2 feet. Often, these plants initially colonise new ponds by seeds carried by wind, birds or other animals. Once established, many marginal plants can spread rapidly underground making them difficult to control. Yellow iris are a non-native plant originally introduced from Europe. They grow up to 4′ tall, produce an abundance of bright yellow flowers in the spring and have a fibrous root system. They don’t spread too quickly through their root system, however they can easily spread by seed. They grow in shallow water up to about 12″ deep. 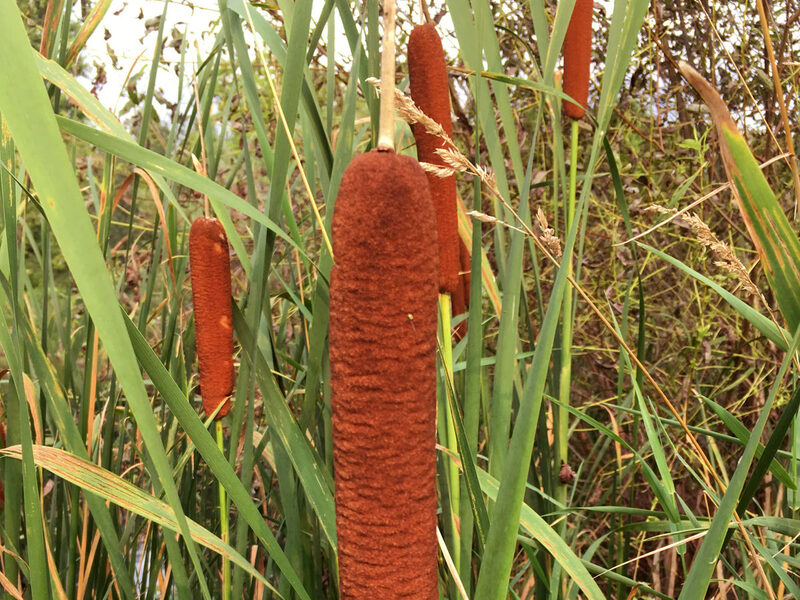 Cattails are a native plant that grow up to 6′ tall. They are common in ditches or wherever soil remains moist, so consequently they can easily spread by seed to new ponds. 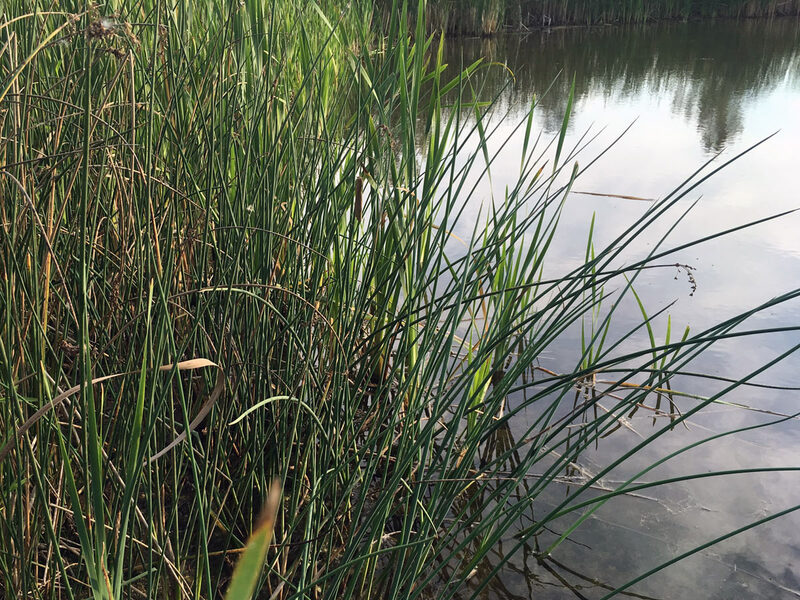 In shallow ponds, they quickly overtake the shoreline and have extensive root systems that are difficult to remove. 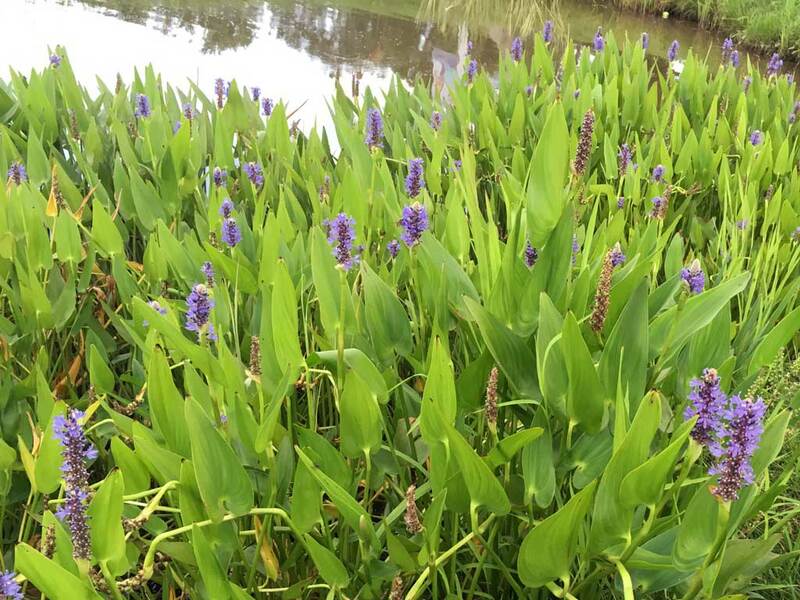 Pickerel weed is a native plant with blue-violet flowers. They that grows in a variety of conditions, from moist soil, up to water 3′ deep. Although they make a great nursery area for small fish, they spread quickly and can choke out the shoreline of ponds if kept unchecked. Bulrush are common along shorelines in ponds, marshes, wet ditches and lakes. There are several native species of bulrush, ranging in size from 2′ to 8′ tall. They prefer moist soil up to depths of 2′. 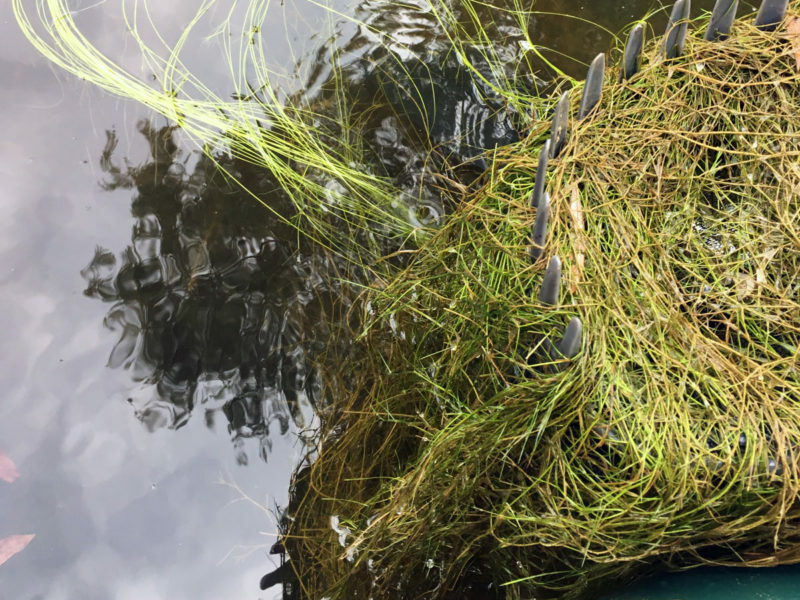 Bulrush do not grow too quickly and don’t often overtake an the shoreline, however regular root pruning is useful to keep them neat and contained. 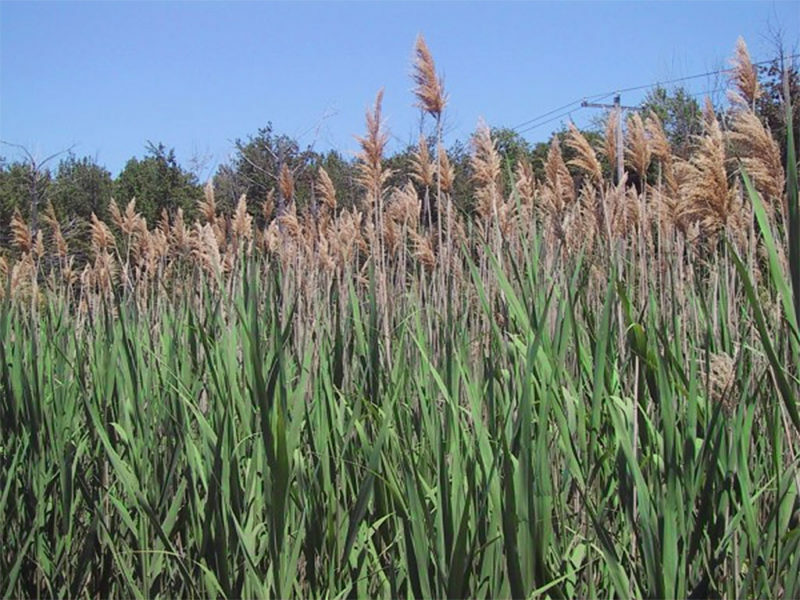 Also known as Phragmites, is an invasive plant that grows and spreads rapidly. It forms large, dense colonies that can overtake mist areas like ditches and shorelines and out-compete native plant species. Common reed are found in moist soil, up to water 3′ deep and grows up to 15 feet tall with a feathery seed-head that forms later in the summer. Water Plantain is a native plant that grows in moist soil and shallow water, up to about 15 cm deep. It is also edible and is high in vitamins A, C and E. It produces clusters of small white flowers in summer, and can spread quickly by seed. There are several different species of Water Plantain found in Canada. 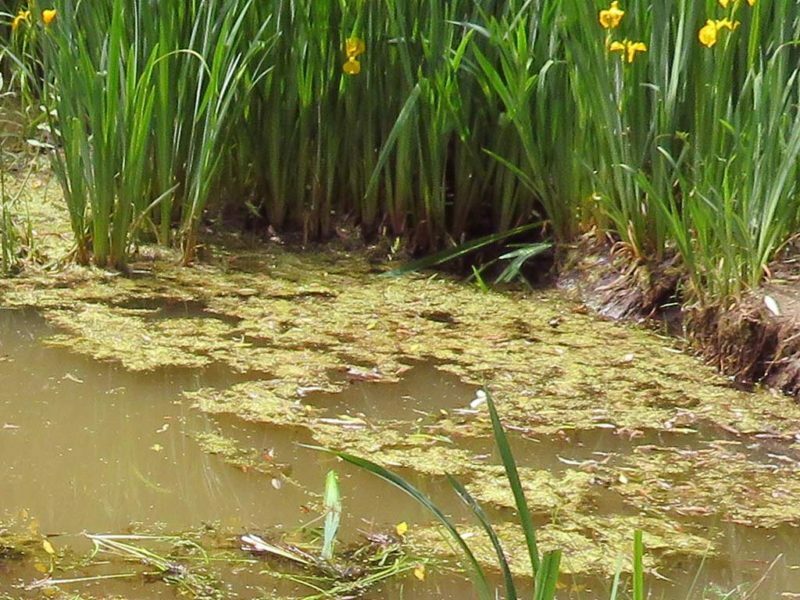 Once established in a pond, floating pond plants such as duckweed or watermeal can grow extremely quickly making the pond look very unpleasant. Duckweed can overtake a pond and completely cover the surface robbing the pond of light and oxygen. 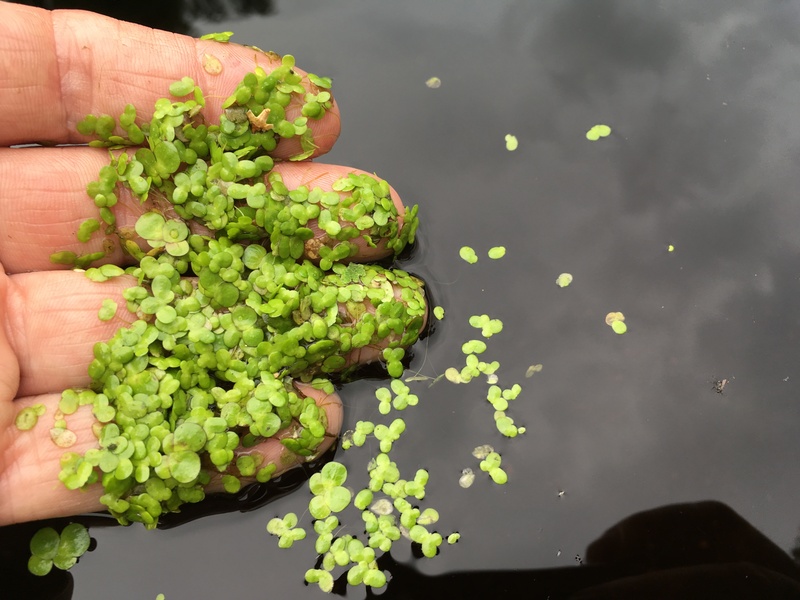 Duckweed is a small free floating plant about 1/8″ to 1/4″ in diameter. Each plant usually has 2 or 3 light green leaves and a few small roots that hang below. Although it does produces seeds, it spreads very quickly in calm, still waters by division. Some fish ans also ducks will eat duckweed, but not usually as as fat as it can grow and replace itself. Both watermeal and duckweed are pictured above growing together. The duckweed is the larger of the plants, while the watermeal is the smaller plant. Watermeal is very tiny, each plant is about the of a pinhead. 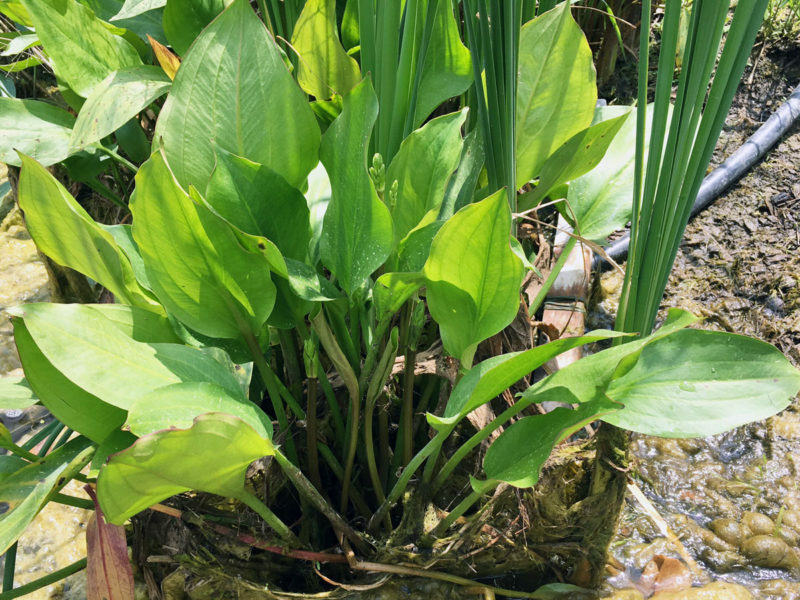 Even though both these plants are small, they can reproduce quickly in the right conditions (warm water, lots of nutrients) and completely cover a pond. Floating-Leaf Pondweed is common in ponds or slow flowing habitats. It produces mainly floating leaves but also has submersed on the same plant as well. The floating leaves are oblong, pointed at the tips, slightly heart-shaped at the base and grow 5 to 10 cm long, and rounded at the base. Water lilies are slow growing plants that prefer in still, shallow water up to a depth of about 4-5 feet. They help to shade the pond and beneficial habitat for fish and other wildlife. Water lilies have thick tubers rooted securely in the soil, making them difficult to remove. They produce large circular floating leaves that grow up to 12″ in diameter and fragrant flowers up to 8″ in across. Because water lilies are slow growing, It usually takes several years before they need to be trimmed or partially removed. 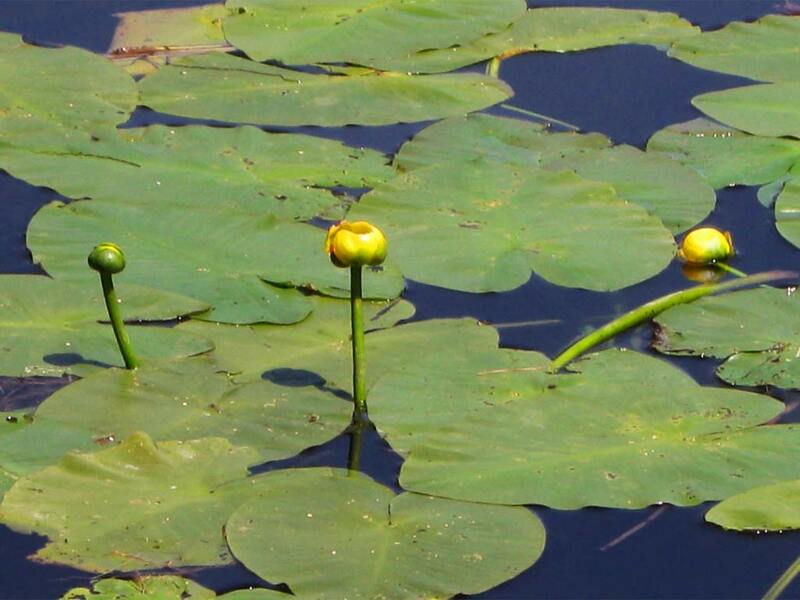 Spatterdock are similar in many ways to water lilies. They prefer in still, shallow water up to a depth of about 5-6 feet. They help to shade the pond and beneficial habitat for fish and other wildlife. 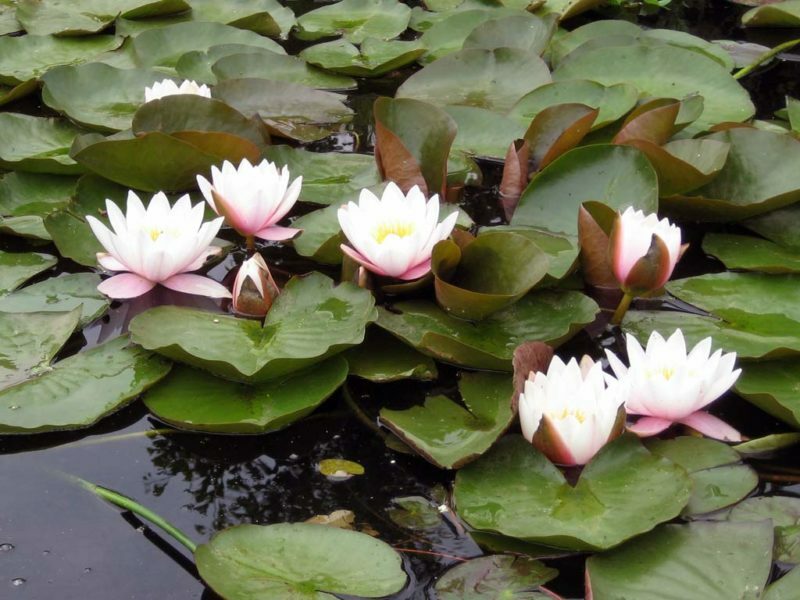 Water lilies have thick tubers rooted securely in the soil, making them difficult to remove. They produce large circular floating leaves that grow up to 12″ in diameter and small yellow cup-shaped flowers about 3″ in across. Filamentous algae AKA ‘green slime’ or ‘pond scum’ grows in long single strands. these strands usually grow together forming dens mats of algae. In early spring, Spirogyra and other similar types of algae grow at the bottom of the pond in shallow water. During warmer weather, thick mats of algae form at the surface of the pond as tiny bubble of oxygen produced by the algae become trapped in the algae.